The participants joined in Special Olympics activities at the Penn Relays in Pennsylvania. The group points out their home countries on the globe during their visit to a local high-school in Maryland. 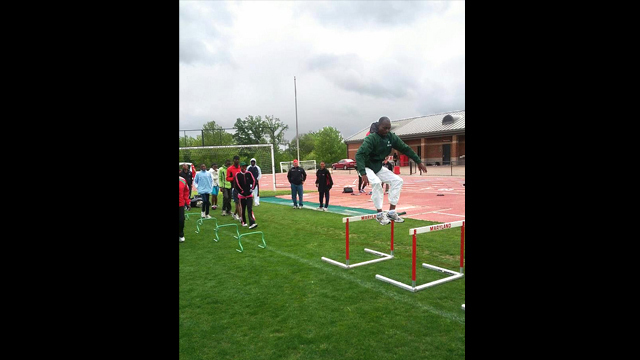 The participants practice different track and field events including shot put and hurdles. 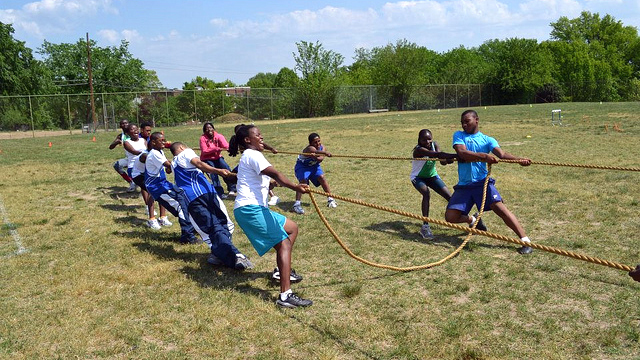 The participants played tug-of-war while working on their teamwork skills. 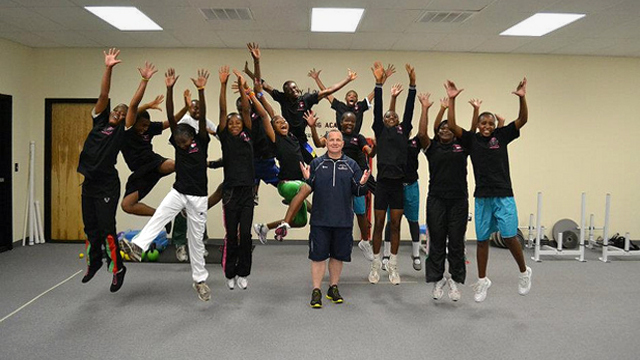 The group celebrates after a special strength and conditioning session with professional trainer Barry Lovelace. 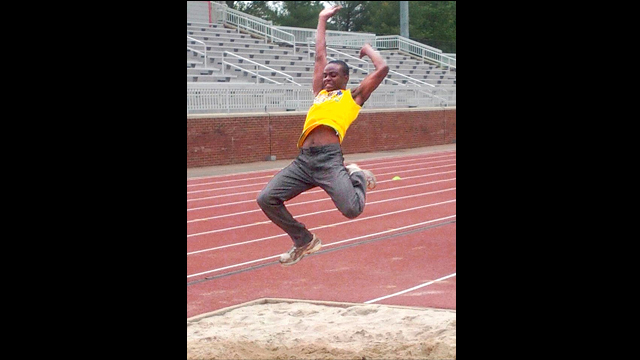 One of the young international athletes practices the long jump. 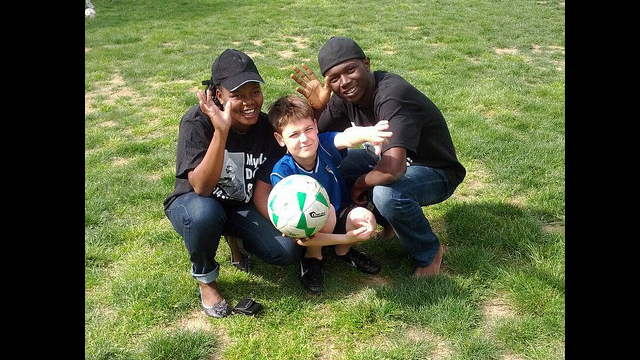 As part of the program, participants played in a soccer scrimmage with the TOPSoccer team in Pennsylvania. The participants play with children with disabilities one afternoon. 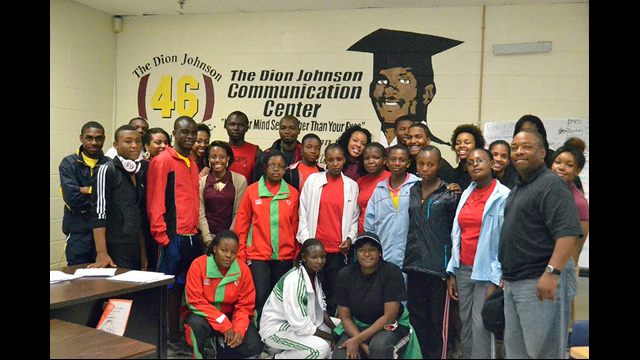 The group of Kenyan and Nigerian track and field athletes visited Frederick Douglas High School in Maryland. 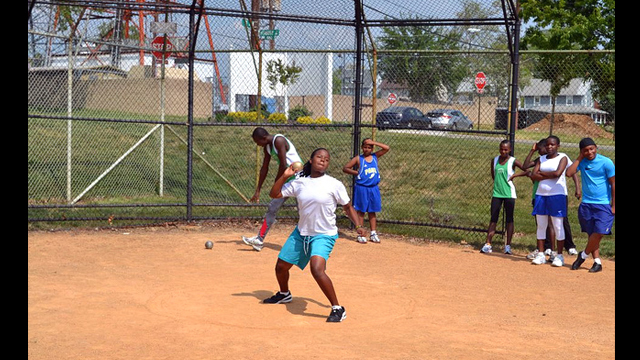 The participants practice their shot put skills. The group warms up for the Mock Olympics. 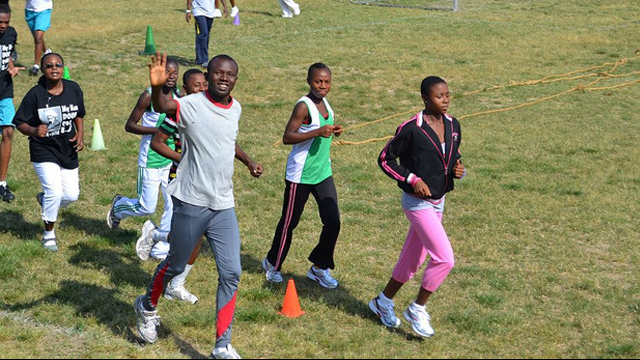 A group of Kenyan and Nigerian athletes participated in a fast-paced track and field exchange. 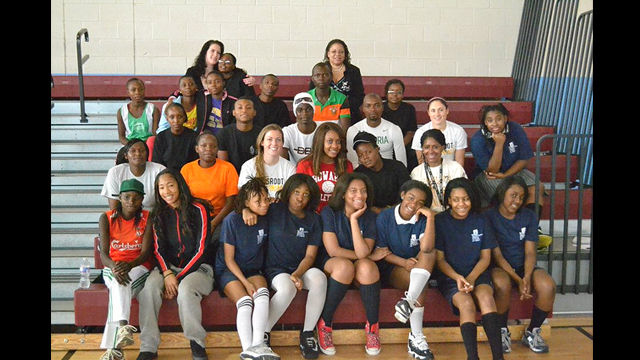 The participants joined practices and mock track meets with local high-school students in the Washington, D.C.-area. They engaged in teambuilding workshops, disability sport activities, and dialogue on conflict resolution with their American counterparts. The international delegation also attended the Penn Relays in Pennsylvania, the oldest track and field competition in the U.S. Additionally, the participants were able to have a track session with Special Olympics runners.